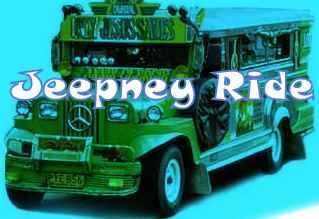 As we ride daily in a jeepney, we cannot avoid to encounter some naughty male passengers. They are the ones who would grab the opportunity to rub their arms in the side parts of the body of their co-passenger. It happens especially when the jeepney is full of passengers. Since when you ride in a jeepney you sit side by side with your co-passengers wherein your arms are in between , there would be a chance for some naughty guys to intentionally rub their arms against their co-passengers body especially if it is female. So, ladies to protect ourselves from this type of passenger, always put your arm in between the two of you to hinder his arm to touch your body. If he still insist, raise your arm and simply hit him with your elbow. Make it appear that you hit him accidentally. Well, that's how it goes.